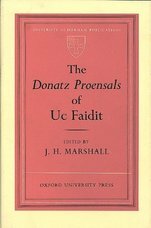 The Donatz Proensals of Uc Faidit. 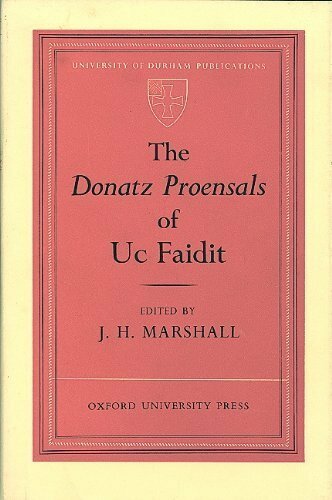 Home » The Donatz Proensals of Uc Faidit. A very nice copy in original unclipped dust-wrapper. Clean and tight. 419pp.. With introduction, notes, glossary. Very lightly marked from storage. Unused. ; A grammar of old Provençal composed in Italy around 1240 with introduction, notes and glossary.